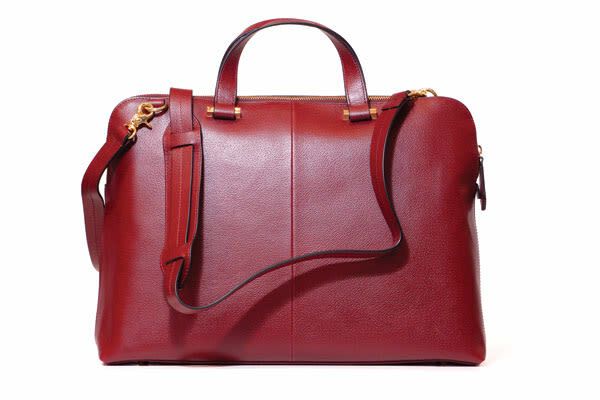 A briefcase in a bold color is a great accent for a business wardrobe heavy in grays, blacks, ivories and camels. Handmade in Italy of the finest leather, this sleekly structured bag boasts a large center compartment with an easy-access pocket for your cell phone and a built-in LED light to help you find your keys in the dark. The second compartment is perfect for files and your day planner. $635, from Eleganza on Main Street. A sophisticated handbag that holds everything is a must-have for a long day—and night. With plenty of room for files, a tablet, wallet and makeup bag, this petite two-toned tote can even work weekends. 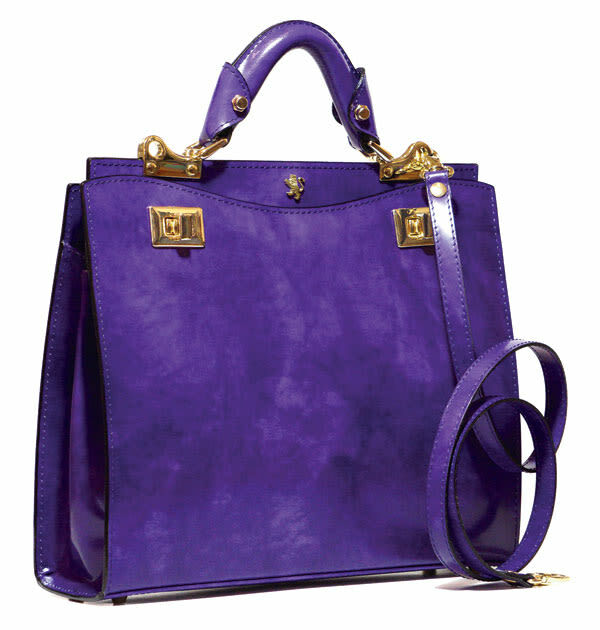 It’s crafted of crosshatched Saffiano leather with 14K gold-plated hardware and signature Caroleena Spade dot interior. 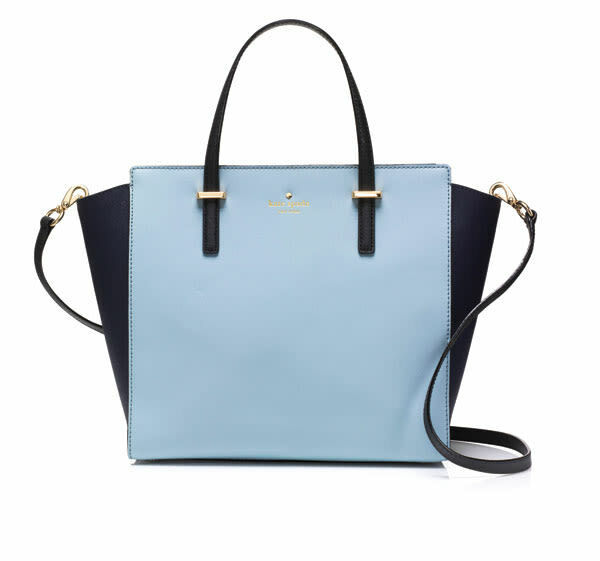 Kate Spade, Cedar Street Hayden bag in Offshore Mystic Blue & Black, $358, Kate Spade Boutique at UTC. A large tote provides all the space you need to carry files, tablet, phone charger, water bottle and just about anything else for business on the go. The oversized zippered pocket and multiple side pockets keep all of your gear neatly organized inside a spacious center compartment. The beautiful metallic finish along the top makes this anything but basic black. Made of super-soft Italian leather. 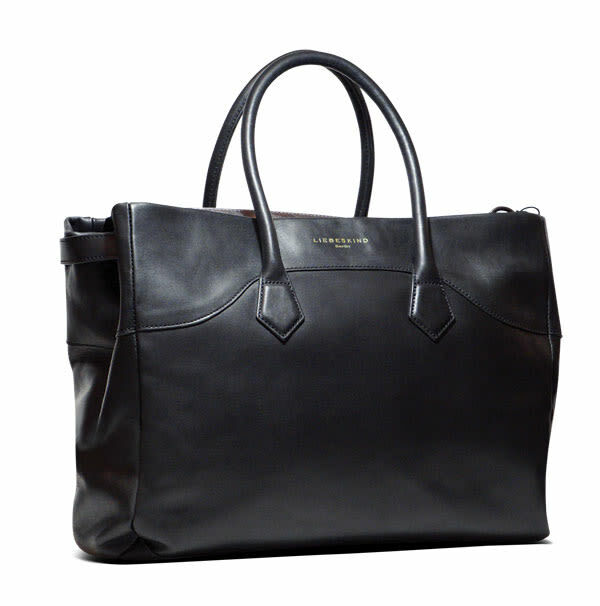 Liebeskind tote, $478, from Main Street Traders. When your day is spent outside the office calling on customers, it’s important to have plenty of battery life on your cellphone. The Mighty Purse phone-charging wristlet offers fashion and function for the modern businesswoman. This mid-size wristlet features a high-capacity rechargeable battery (compatible with iPhone, Android and Blackberry), an internal zip pocket and slots for credit cards. It’s the perfect satellite bag to tuck neatly inside a larger tote, and ideal for those times when you don’t need to lug your large bag to lunch. 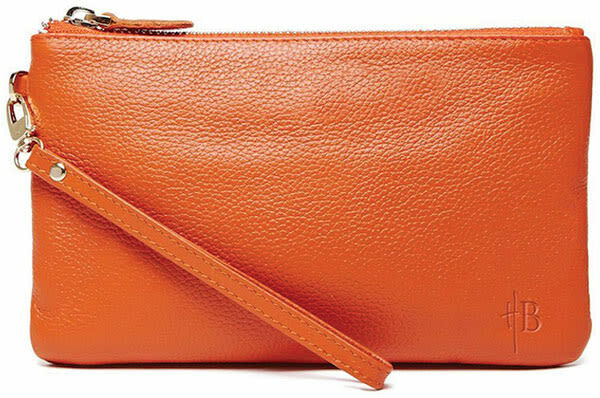 Mighty Purse wristlet, $99, from Spa Hollywood and Treat Boutique. If your daily mantra is “a place for everything and everything in its place,” then the LODIS Crossbody leather satchel is the perfect solution for organizing all of your technology and files with style. In addition to the roomy, beautifully lined top-zip compartment, this bag features a back zippered compartment that frames a mini tablet and a front zippered pocket perfect for a notebook, pens, business cards and even your lipstick. Also includes RFID protection. LODIS Stephanie bag, $368, from Write-on Sarasota. When business casual is the dress code, a not-so-formal bag is what you need to pull together a coordinated look. This suede backpack is just the right size, not bulky or overpowering, and can hold your tablet and multiple files with ease. Fully lined, adjustable straps, snap front closure, gold-tone hardware and a zip pocket inside. Made in Italy. 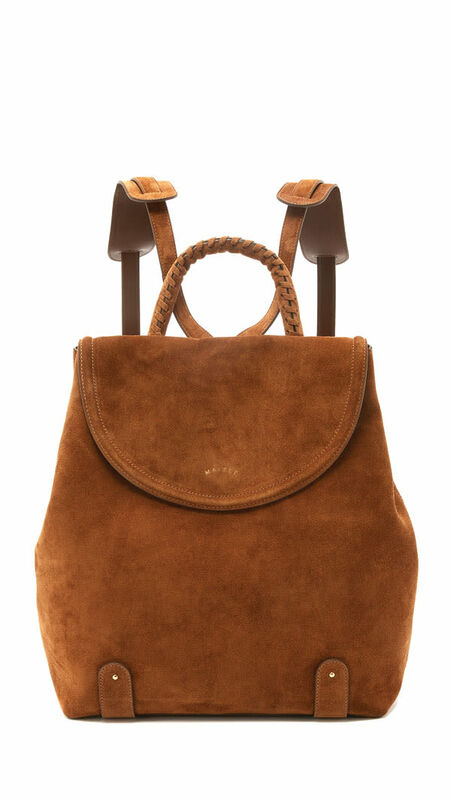 Maiyet Whip-stitched Backpack, $1,395, from Saks Fifth Avenue.